Shattered is Reigning Sound’s first album for Merge and the first full LP by the group since 2009’s Love and Curses. The band’s principal songwriter/member is Greg Cartwright, who’s been leading the shifting cast of characters since 2001. You may be familiar with some of the band’s work, as this album is preceded by five studio efforts as well as numerous EPs and live records. Or perhaps some of Greg’s other projects have been on your musical radar: The Oblivians, Parting Gifts, Compulsive Gamblers, 68 Comeback, Deadly Snakes, Detroit Cobras. The album was recorded at Daptone’s Brooklyn studio (where drummer Mikey works in the office) and masterfully engineered by Wayne Gordon. The recordings are warm and punchy, a mixed bag of rockers, ballads, and something in between. There are only 11 songs on the album, but the band reckons it’s just right. Flat Worms back in Europe this summer ! Straight Arrows hit Europe ! 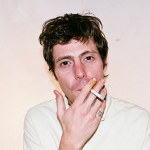 « Fog City », new Tim Presley’s White Fence video clip online ! Cockpit assure la 1ère partie de Death Valley Girls au Petit Bain et au Galion ! Death Valley Girls à Bordeaux demain soir, à Paris la semaine prochaine ! 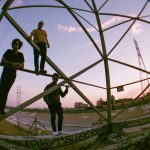 King Khan LTD announced spring tour ! 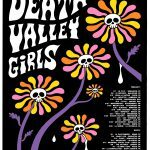 Death Valley Girls’ Paris show moved to Petit Bain venue ! Ready for Death Valley Girls tour ? It’s coming next week ! Handsome Jack aux Nuits de l’Alligator 2019 ! 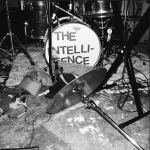 After the launch of « Live in San Francisco », The Intelligence European tour is coming up ! White Fence plays in France this summer ! 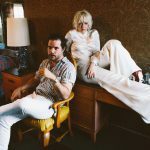 2019 WARM UP : Warm Drag has announced a winter tour ! Death Valley Girls on Iggy Pop’s BBC 6 Music Show ! Death Valley Girls Album « Darkness Rains » is out ! Mudhoney en concert le 27 novembre au Trabendo ! 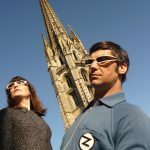 Endless Boogie en concert au Void à Bordeaux le 21 novembre ! King Khan LTD, Tijuana Panthers et Archie & The Bunkers au Bikini Fest le 30 août ! Don’t Miss the « Binic Folk Blues Festival Warm Up Festival » at Petit Bain on July ! Do not forget , for the fall of 2018 : Beechwood & Endless Boogie will also be added to our roster ! Oh Sees Tour begins very soon , end of June ! « Death Valley Girl » New on our Roster 2019 ! Les concerts à ne pas manquer cette semaine!! Mudhoney, Exceptional Show in Paris! Os Mutantes en France, unique date, n’attendez pas ! Archie & The Bunkers new LP « Song from the Lodge » ! Mattiel Dates and Teaser ! CASTLEMANIA Feat. Oh Sees coming up ! Get your tickets !! Kelley Stoltz live au Point Éphémère le 21 Février ! Os Mutantes Euro Tour in May ! Ty Segall’s Freedom’s Goblin Euro tour ! Reverend Beat-Man & Sister Nicole Izobel Garcia on tour ! Kelley Stoltz, Dan Rico and Mr. Airplane Man on tour ! New album and new Europe tour for Ty Segall & The Freedom Band ! The Oblivians on tour this spring ! 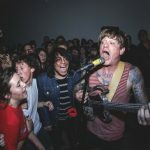 New video and new tour for Oh Sees ! The Living Eyes at Espace B in Paris next wednesday ! Kelley Stoltz at La Route Du Rock in february !!! Back to work at U Turn Touring, with Mattiel, King Khan, The Oblivians and OCS tours ! Kid Congo And The Pink Monkey Birds on tour! Flat Worms in Primavera Festival, Paris and more ! The Living Eyes on tour for the first time in Europe ! Left Lane Cruiser are back ! The Sonics on Tour in February 2018 ! The Magnetix will be in Liverpool Psych Fest ! Archie & The Bunkers concert is coming ! Thee Oh Sees on tour this spring! Minneapolis Uranium Club playing at the Villette Sonique! Listen to CFM’s new song! Deux nouveaux groupes U Turn annoncés à TINALS! 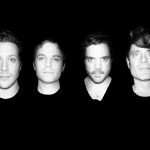 Thee Oh Sees new album is out and a new tour is coming! King Mud will tour Europe this winter! New Blind Shake lp out now! Soon! Left Lane Cruiser and Dirty Deep in Paris! New Video for 51 Black Super! THE MONSTERS – 30th Anniversary Tour! Tim Presley (White Fence) in France for 1 show! 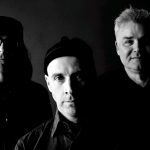 EX-CULT New LP’s released today! 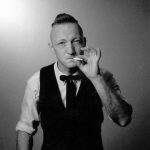 Reverend Beat Man’s back to France for 2 shows! © 2019 U Turn Touring. All rights reserved.